These guidelines are designed to allow institutional social media channels to benefit from the "lift" that sharing common brand elements with the rest of the institution's social accounts can achieve. By providing a common look and feel for our social properties, we make it easier for our users to instantly identify York's institutional accounts. Once your institutional account has been branded, please contact C&PA to have it included in York's social media directory. Please refer to our social media guidelines for non-branding related guidelines for institutional social media accounts. Download the profile picture template below. Using the template, you can add an image that represents your brand, and export the completed profile pic. This template accommodates rounded profile pics, such as are required on Instagram and Pinterest. As shown below, the template is square, but avoids cutting off the text when cropped as a circle. Please remember that your avatar can become extremely small on a Twitter client, mobile phone or on other platforms. Therefore, it’s more important to have a visually recognizable avatar than to rely on text in the avatar to identify your account: text at that small size may be illegible for many people. That’s why it’s better to choose an image that embodies or represents your department or faculty brand, instead of relying on text in the image. C&PA and student services use the York "U" logo as their profile picture on social media, to differentiate them from other accounts, as the official institutional and student voices for the university. These are the only two departments that should use the York "U" logo. If you need a photo for use as a Facebook cover photo, channel art, etc., you can download royalty-free, approved YorkU photos from the York University Image Collection. If you need a higher-resolution version of a photo from this site, please contact C&PA. Please keep in mind that the artwork you select for your channel may look different on a mobile device, because of resizing and cropping. For this reason, we don’t recommend you rely on word-art that conveys necessary information; those words may not appear to your audience on a given device. "About" section / bio / summary, etc. The specific name for this section varies from platform to platform, but it's generally a short text description of the account. Begin with either “The official Facebook page for” or “An official Facebook page for,” (or "The official Twitter account," "The official YouTube Channel," etc.) and the name of your unit / faculty / department. For example: "The official Facebook page for York University's Faculty of Education." Follow the format “York University - <division/unit/faculty name>”, e.g. “York University - Faculty of Health,” “York University - Alumni,” etc. Follow the format “YorkU<division/unit/faculty name>”, e.g. “facebook.com/yorkueducation,” “facebook.com/yorkualumni,” etc. Subcategory / subcategories can be set to your preference, as best describes your unit. Once your page reaches 25 likes (the current requirement as of February, 2016) you have the ability to set up a custom URL. This replaces URLs such as "facebook.com/pages/TorontoAmateurHockey/857469375913" with "facebook.com/TorontoAmateurHockey." We encourage you to claim your custom URL, but choose carefully: once you select a custom URL, you can't change it. For that reason, we strongly encourage you to consult with C&PA, to make sure it's the best name for brand consistency and discoverability. Please use the following template: "facebook.com/YorkU<namehere>," e.g. "facebook.com/YorkUeducation." Let C&PA know what the new name is, so that we can update the social media directory. Follow the format “YorkU<division/unit/faculty name>”, e.g. “YorkUNews,” “YorkUHealth,” “YorkUPresOffice,” etc. Since Twitter account names can only be a maximum of 15 characters, please don’t hesitate to consult with C&PA about abbreviating your unit’s name if you run into difficulties, prior to setting up a new account. Keep in mind that long account names reduce the number of characters available to people who want to retweet your messages, making it more difficult for them to do so. For that reason, you should avoid make the account name as short as possible, e.g. "Twitter.com/YorkUHealth" and not "Twitter.com/YorkUFacultyofHealth." Follow the format “YorkU - <division/unit/faculty name>,” e.g. “YorkU - Science". For the account name, use “YorkU," then the unit name, e.g. "YorkUEducation." If setting up a new account, this should also be the account's address, e.g. "youtube.com/user/YorkUEducation"
Please do not leave the channel art blank, as this is an important part of the presentation layer for YouTube, and an important branding opportunity. You can use a photo of your choosing, or pick one from the York University Image Collection. If you require assistance designing a photo, please contact C&PA. If possible, identify the blog as an official York source by adding one of the logos described in the "Profile Pictures" section at the top of this page. 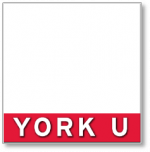 It may not be possible to incorporate “YorkU” or “York University” into the name / URL of an existing blog. Whether or not you can do so, please identify the blog as an official York University one by including “The official [blog/Tumblr/WordPress] for” or “An official [blog/Tumblr/WordPress] for” and the name of your unit / faculty / department in the relevant "about" section. When setting up a new account, whenever possible use "YorkU," then the unit name, e.g. "YorkUScience." Please identify the account as an official York one by including “An official [Instagram/Pinterest/Vine/Vimeo/Flickr] account for” or “The official [Instagram/Pinterest/Vine/Vimeo/Flickr] account for” and the name of your unit / faculty / department. Account name should follow the format “York University - <division/unit/faculty name>”, e.g. “York University - Faculty of Health,” “York University - Alumni,” etc. If there's not enough space, you may abbreviate "York University" to "YorkU," e.g. "YorkU - Office of the President." Account name should follow the format “YorkU" and then the - division/unit/faculty name”, e.g. “YorkUScience."